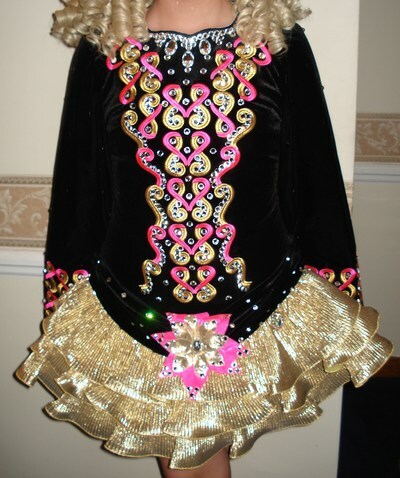 This Stunning Siopa Rince is currently worn by an under 14 championship dancer and less than a year old. It is truly stunning on stage and extremely lightweight to dance in. It is in immaculate condition and hardly worn. Looks almost new. It would suit a dancer from 12-15 years. 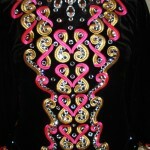 The bodice is black velvet and the sleeves have jet-black swarovski crystals adorned on them giving a twinkle effect when dancing. 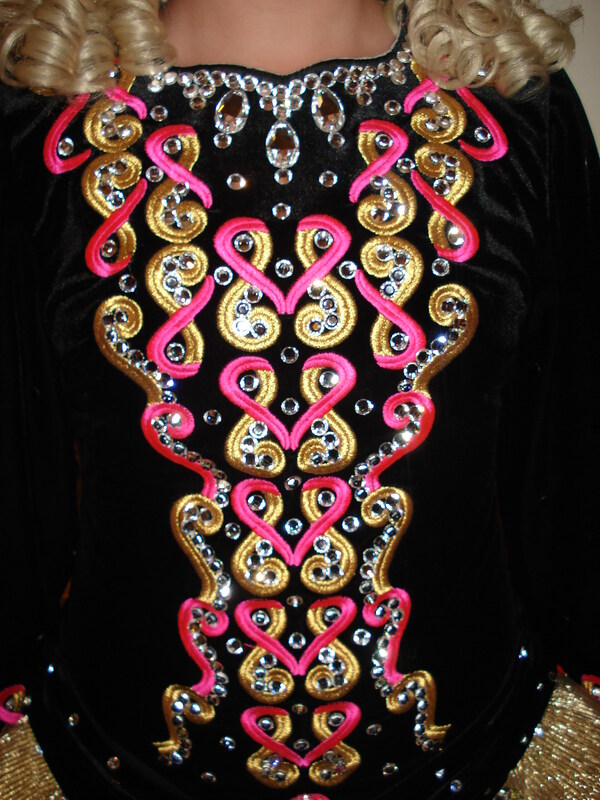 The bodice and bottom of the sleeves have a celtic design in pink & gold, covered with hundreds and hundreds of clear swarovski crystals. The skirt is very lightweight and a new style Gold soft ruffle. Comes complete with gold kickpants and custom made alice-band headband in black (covered in crystals) with a small flower to match the dress. The bodice is taken to the flower on the skirt and to the middle of the large centre stone. The skirt is taken from the same position. Actual skirt length from bodice seam is 9 inches and bodice 21. The dress was made with extra room for development around the chest area. There is approx 2 inches let down and take out all over the dress. Asking Price: £825 ONO. Shipping costs are not included in the asking price. Sale is final.